Our district manager has asked me to write about my history in radio control modeling. We have to go back quite a ways so I will try not to bore anyone. I do think it is important for the Scale Masters to enter into this history program. In my case I go back 57 years in modeling so pardon me if I do not get dates right etc. Early on I belonged to the Radio Control Club of Detroit. I still maintain contact with Willie McMath. Ken Taylor taught me to fly. Later on I became president of the club for a year or two. At one of the meetings I remember a guy telling us he was a modeler for 30 years and I thought WOW! I helped run the Detroit invitational there in the sixties. I started flying with a ground mount transmitter with a 9 ft. antenna and one push button. In 1962 I won the the design award with my rudder only model at the Toledo show. Tom Brett was the guy that I tried to follow. He was a model designer and a competitor. I followed his lead which enabled me to design my own and fly in contests just like Tom. Around that time I started the assoc of clubs to co ordinate their event dates. Somewhere in that time frame I ran a judging school in basement. I started the novice event for our club that was later picked up by the AMA. I also flew in the 1964 nationals in Texas where I was in first place for all 5 days on the last day I fell to 3rd place. That is when Navy judges helped us out and we flew all 5 days. I continued to design planes one of which had quite a tail wobble as I remember. Somewhere in that time I moved to California in the late sixties. I was a die maker starting as an apprentice at Fisher Body. As such I was spoiled in that it was always easy for me to find work. After moving I joined the BIRD club near Los Angles. Continuing my designs I made a couple more planes. I won design awards for both at the California shows. They were called Caravelles number one and two and were very far apart as far as designs go. I must have liked the name and they were made in different years of course. We had several contests in the area and in Goodyear Arizona. I moved just a bit east due to work where I joined the Scale Squadron. They are of course active today, Our home field was Mile Square park. We were a very active group in scale activities. A bit later Harris Lee started the Scale Masters program. That is now 35 years old. I attended the group meetings to initiate the event with Bert Baker as an observer and having no idea what this would turn into. Around that time I started the Quarter Midget racing club. We held a race a month for 36 months straight. I won the QM finals race in San Diego at some point with people from all over the United States attending. I also attended two of the Byron originals flyins at some point I have forgotten the years. From there I went into Formula one racing. I never did very good at that BUT! Bob Smith just a kid was very good at racing and is a supporter of the Masters today years later. Then to Giant Scale racing where I raced formula one and bi-planes, I went to Texas again to race. This time I took the Henry Hafke Gee Bee to race in the Thompson event. It is a 90 inch racer that was started by Harris Lee and Gene Barton. I finished it took it to Texas and won first place. I met Mike Barbee there another big supporter of the Scale Masters. I raced bi planes quite a bit Then I designed and built two different versions of the Mong. All the while I continued in my scale activities including the QSSA and the IMAA flyins. 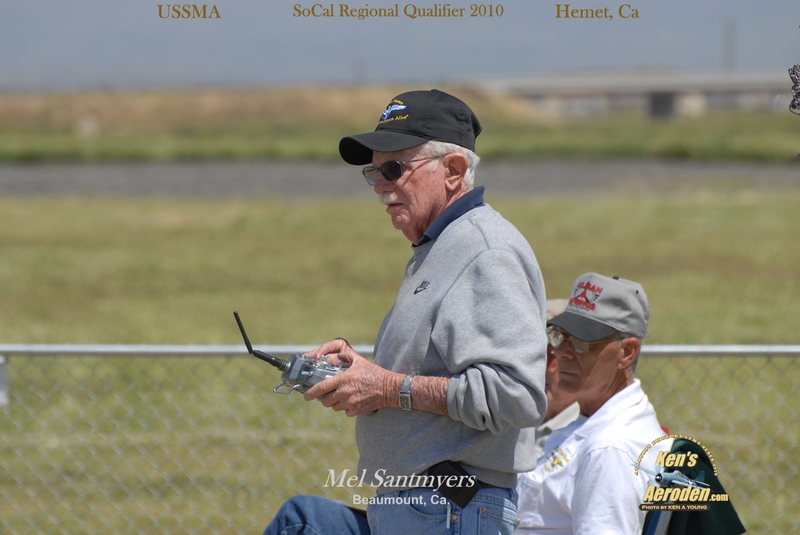 I still fly in the Masters event and flew last in Fresno at the 2011 event.after qualifying at Hemet earlier that year. Then in 2012 I flew again in Hemet Ca. Many moons ago I designed the giant scale Piper Tomahawk a 100 inch plane that was then kitted by Dons Custom Models. I currently have one I flew at the IMAA event in 2012 that one was found on ebay purchased by John Bayshore then I re finished it Originally it was built by the Bud and Joe Zimmerman in the eighties. Another plane I highly modified was the clipped wing Corsair. Prior to that I also made the Staggerwing Beach and I highly modified that as well from a Byron kit. the kit was a G model and I did the earlier D version plus I scalloped the wing ribs into the foam etc. Sometime in the eighties I won high static with that plane. The first time a civilian aircraft won high static.I flew both the Corsair and the Staggerwing in the Scale Masters events. I have flown in two Top Gun events,one in Arizona and one in Florida they were both with the Staggerwing. Just recently I was asked by Bruce Tharpe a model designer himself how many airplanes I had designed. I added up eight of them and two more very highly modified. I have mentioned in here the events,shows and designs I have won. HOWEVER there were many that I was second,third or even up to last place. I always watched a scale guy by the name of Kent Walters. He could always make it seem so simple. All in all I have traveled thousands upon thousands of miles due to the love of my sport. I have met countless modelers from the USA and from other countries. People like Hal Debolt,How about Les Fruh from Chicago and the IBM part he put in the modelers hands called the qiuck link still today used world wide by every modeler,then Ed Izzo with the first Foam wing cutter,flyers like Ed Kazmirski,Tom Brett, flyers and equipment suppliers Bob Dunham,Phil Kraft. How about Herchel Worthty Mr. ZAP although not a flyer but a great supporter of the Scale Masters It hurts me to leave out the names of so many greats that pop into my mind now and then. Never to forget my two personal favorites and hero's to the scale world Harris Lee and Frank Tiano. So many with a love for our hobby/sport have contributed to our hobby. In my working history,after die making I became a model maker,then a model maker for Robertshaw controls,then an engineering supervisor for the same company where I purchased thousands of dollars worth of tooling every year. I attribute my advances in that company to my experiences in RC modeling. I have tried to do my best at remembering. You have probably noticed by now that I love this sport/hobby and still have hard a hard time staying away from the Gilman Springs flying field so I try to limit it to 3 to 4 days a week. The past 3 years or so I have put some ideas on the forum at the Scale Masters site. I see some progress there. However more is needed We are living in a much different world now then when I first started. We have a great opportunity with thousands of ARFs on the market many of them scale by the way. They have to see what a guy named Bob Frey can do with an ARF. Then there are the builders a steadily dwindling bunch. We must act quickly to give them the recognition they deserve in order to entice some of those ARF people to say. I CAN DO THAT. Thanks for reading this gentlemen and the best to everyone. It has been a long ride.